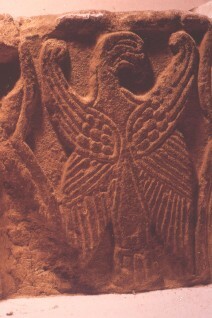 A stone slab with an eagle inscribed on it. It is possibly an evangelist symbol (?). Allen, John Romilly, Early Christian Symbolism in Great Britain and Ireland, before the Thirteenth Century 1st, Whiting, London (1887) Art, Christian, Christian Symbolism..